If you'd like to know who they were, go on over to the Horsecrossings blog, where I waffle on about unexpected horse story authors. I haven’t read any pony books for a while, because I’d lost my pony book mojo for a couple of months, and I’m glad I read this book as my first essay back into the pony world. 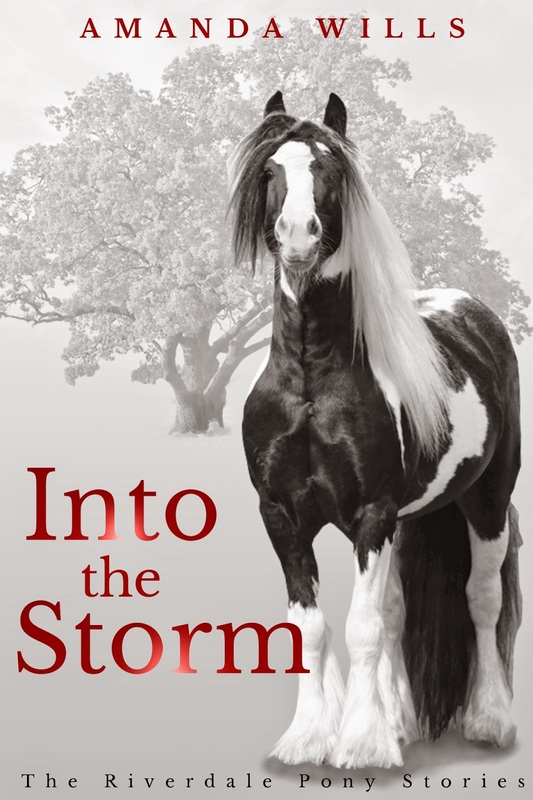 Amanda Wills’ Into the Storm, I have to say, I’d have enjoyed whether it had been about ponies or dustbins. It’s exciting, dramatic, and an excellent answer to the question of what do you do with your characters when they’ve had two home-based adventures – you plonk them somewhere totally new and see what happens. I have been very quiet here of late. I've not been utterly silent though - I am contributing to a new blog written by equestrian authors, Horse Crossings. Here's my take on the American horse stories which made it to Britain. Just to whet your appetite, here's one of the Knight printings of the Black Stallion. I loved these covers. And here I am on how it all began - the beginnings of the pony story.